In 1972, Intel launched its first production facility outside the United States, a 5-acre assembly site in Penang, Malaysia. 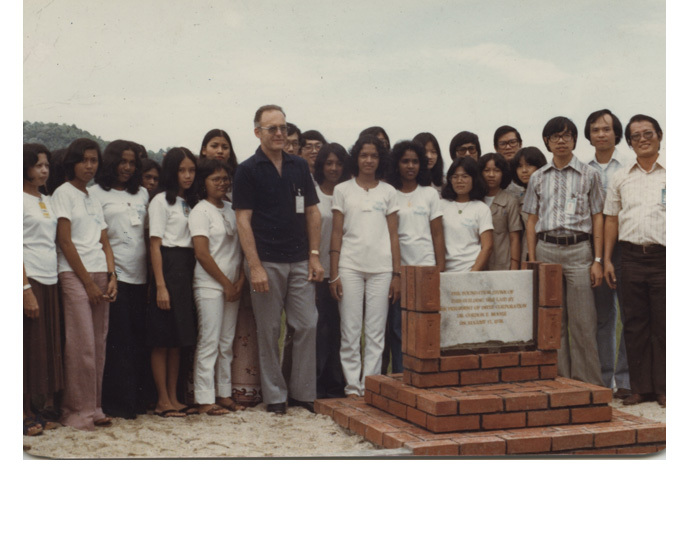 The facility proved a quick success: By 1975, Intel Penang employed about 1,000 people and had become a crucial part of the company’s manufacturing chain. It would be a disaster, however, that would set the site on the path to becoming one of Intel’s most important facilities. 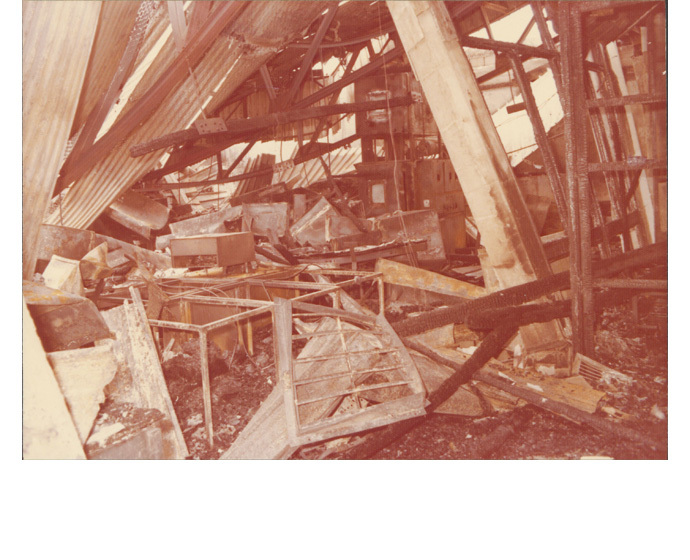 On May 1, 1975, a little after 9 a.m. a fire broke out in Intel Penang’s moulding room, probably the result of a faulty light. Within an hour, “The only thing standing was the cafeteria. Everything else had burned to the ground,” recalled plant manager Ken Thompson. Even the steel beams that had once comprised the building’s frame were destroyed. Fortunately, the plant was closed the day of the fire, and there were no injuries. The loss was devastating. Damage was estimated at $2.5 million (more than Intel’s initial investment in Penang just three years earlier), and Intel’s production schedule was in serious jeopardy. The recovery efforts would be one of Intel’s greatest manufacturing triumphs. Thompson printed t-shirts that read “Intel still Delivers” (a play on the company’s motto at the time), and he and his team were determined to keep production on track, even setting up a bunkhouse at one of the company’s temporary locations so they could work around the clock. “Ken and his crew must have been working 22-hour days, and he was running the whole thing as if it were a big war room. … It was really a masterful piece of recovery,” said Gene Flath, director of manufacturing during the crisis. And throughout the effort, Intel kept paying its Malaysian line workers. Everyone reported to work, and those who couldn’t be used were sent home with full pay. Staff kept production at acceptable levels despite the obstacles they faced. They took over other manufacturers’ factories during graveyard and swing shifts, and repurposed the cafeteria that survived the fire. When this stopgap production chain was at its peak, Intel Penang was working out of about five locations, piecing together its operations in a remarkable feat of logistical improvisation. 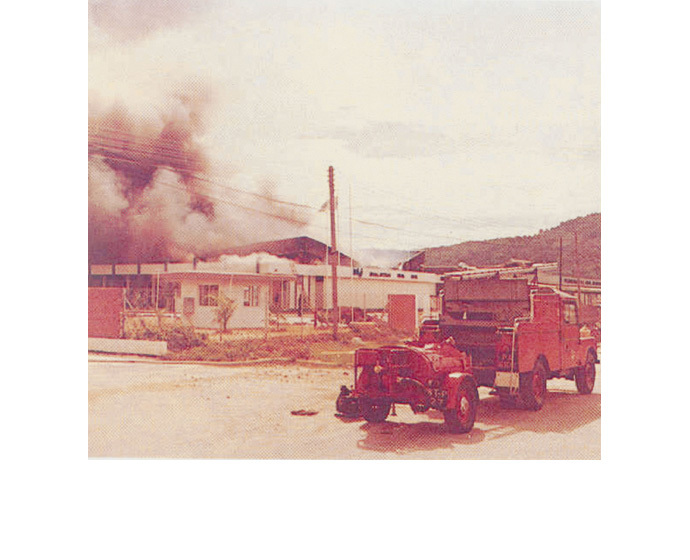 In early 1976, production resumed at the rebuilt Penang site. The new plant’s construction had been a herculean effort in its own right. Thompson called the new facility “a masterful tribute to the dedication and resourcefulness of Intel people” in the U.S. who scoured the world for the materials and equipment necessary to rebuild the facility from the ground up in less than a year.